Join Us Every Sunday Evening at Goldcoast Ballroom for an Exciting Evening of Social Dancing! Admission: $16.00* – *Includes sales tax and Admission for the Entire Evening! Check our Calendar for any Group Classes offered on Sunday afternoons before the Dance. Our bar is open; purchase your choice of wine, beer, champagne, soda/ soft drinks, and more! 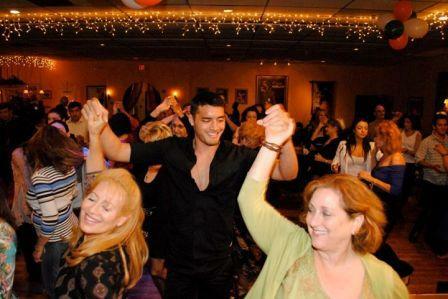 Come join us Sundays for our very popular combined Latin Mix and Party Mix Social Dances! Latin Mix – includes a sizzling mix of authentic Latin Rhythms predominantly consisting of Salsa or Mambo with some Cha Cha, Merengue and Bachata. Party Mix – is for the young at heart! It is an exciting contemporary blend of classic Ballroom, Swing, Hustle, Argentine Tango, Latin, and Two Step. It is the perfect compliment to the Latin Mix. Great for singles and couples of all ages. 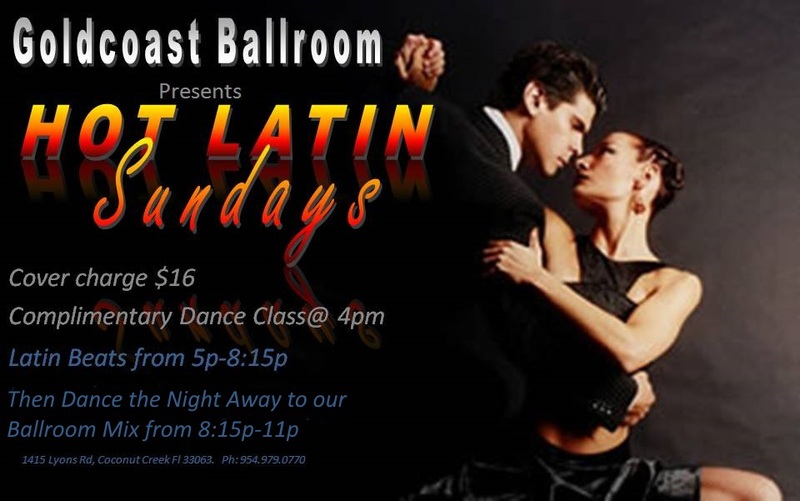 Don’t Miss Sunday Nights at Goldcoast Ballroom!! One of our Most Exciting & Popular Nights!